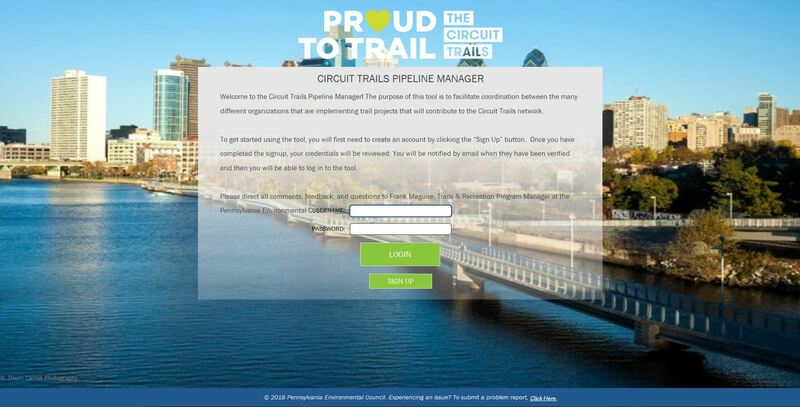 Develop a custom project management application to facilitate and track the implementation of The Circuit Regional Trail System. 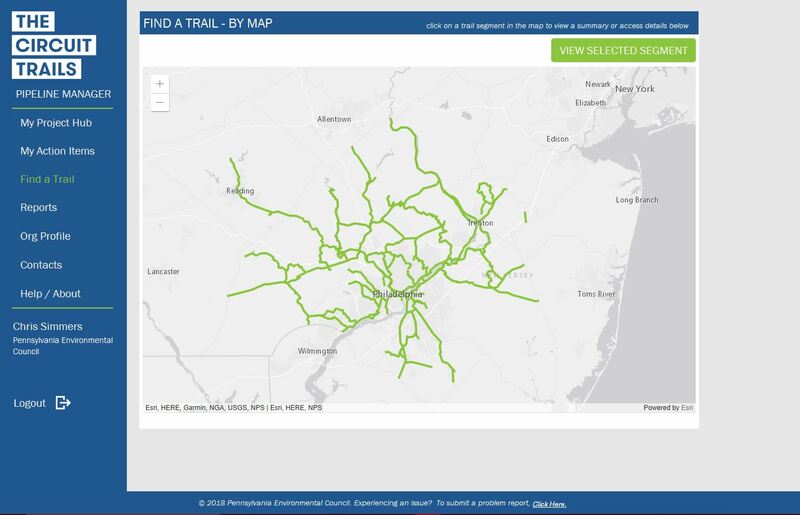 EPD is developing a project management tool for the Pennsylvania Environmental Council to facilitate implementation of The Circuit Trails, an 800-mile trail network in and around Philadelphia. A major roadblock to realizing trail plans is the complexity inherent in coordinating efforts between a wide range of organizations across different jurisdictions. The Pipeline Manager will empower over 100 organizations across 10 counties by ensuring that their effort is focused on moving projects forward efficiently. The Pipeline Manager will serve as a central hub for maintaining information on each project. The relational database structure generates a unique dashboard for each organization that displays action items and allows for streamlined coordination between multiple organizations involved in a single project. 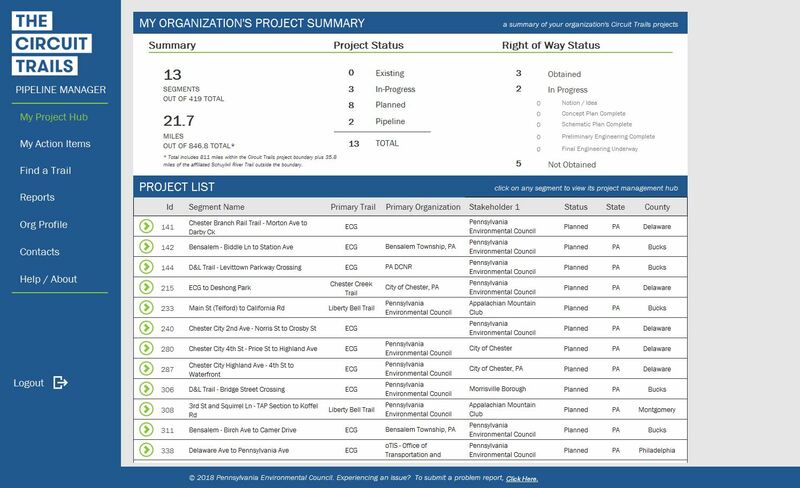 Regional stakeholders can view the status of the entire system and auto-generate summary analytics to track progress and support grant writing.